Cranes are on Shaky Ground and Collapsing Daily. The segment struck a pile as it fell and is now submerged in the river. It is unclear whether the segment can be recovered. A 250-foot-tall crane collapsed Friday morning onto a building at a construction site at the Kent County jail complex in Grand Rapids, injuring three people, authorities said. The jail was placed on lockdown following the incident. Kent County Undersheriff Jon Hess described the injuries to a construction worker and two Kent County jail trustees as minor, The Grand Rapids Press (http://bit.ly/ziaMEe) reported. Both the department construction company officials said all inmates and workers were accounted for. Construction company Owen-Ames-Kimball Co. said Friday in a statement it was investigating the cause of the accident and had no further information. Hess said it appears that a cable snapped as the crane was carrying cement. Images from the scene showed part of the crane leaning against a building. A garage area where sheriff's vehicles are kept was damaged. The main jail that houses inmates apparently wasn't damaged, and Hess said authorities were checking the structural integrity of that building. The crane that fell has been used for seven months on a $27 million renovation project, Hess said. 47 people were forced to leave their home on the Rue de l'Assumption in Paris on Friday, April 12, following the collapse of a roadway next to a construction site, fearing the collapse of several buildings. The collapse of a road near a construction site led the fire department to evacuate several buildings on Assomption Street. Released today at 17:46, updated at 17:50.
worked to consolidate a mistake that has occurred on the plate of the crane, so the location of the France Bleu radio. Residents got a message in the early afternoon that they should not expect to be able to return home during the day. Early on Tuesday morning, a crane collapse at an offshore platform in the Aegean killed one platform worker and injured two seafarers, according to Italian oil major Eni. The accident occurred on the Barbara F platform, which is located about 30 nm off the coast of Ancona, Italy. The crane was carrying out cargo operations over an OSV, and when it collapsed, it struck the vessel below, injuring two people. The wreckage then slid below the surface, taking the crane operator with it. A dive team from the Ancona fire department found the operator's body in the submerged crane cab, which remains suspended by cables from the platform structure. The Guardia Costiera identified the victim as Mr. Egidio Benedetto, 63. Local media reported that he had decades of industry experience, and he was due to depart the platform tomorrow. The injured seafarers were both evacuated to the Torrette di Ancona hospital, and their injuries are not life-threatening, according to local media. Prosecutors in Ancona have launched an investigation into the circumstances of the accident, and are considering the possibility of culpable homicide (manslaughter). Initial reports suggest that a structural failure may have been a contributing factor. In a statement, Eni said that it has "immediately started checks to shed light on the dynamics of the event and is giving the maximum cooperation to the coast guard, to the port authorities and to the fire brigades supporting them in the work for the safety of the area." A crane collapsed on Tuesday night, narrowly missing an Engen garage in Westdene, Johannesburg. According to community Facebook Page Westdene and Sophiatown CROWS, the crane was laying slabs at a construction site opposite the petrol station on the corner of Perth and Lewes streets. It fell over around 21:00, just missing the garage. There was no major damage reported and no injuries, the group said on Facebook. Four workers were killed and five others injured when the top part of a crane broke off and fell on them at a condominium construction site on Bangkok’s Rama 3 Road on Wednesday afternoon. One person died on the spot and six more sustained sevre injuries when two cranes belongs to SPLcompanny were engaged in work in Kakinada Deep Water Port on Saturday morning. According to information available the deceased Vattipalli Lakshmana Kumar hail from Kovvur in West Godavari. The six injured were shifted to Trust.Hospital for medical aid. A man is killed after a crane collapse south of Fredonia, KS. According to Wilson County Sheriff Pete Figgin, deputies were called Friday morning about a possible on site work related accident. The location is the new site of the Fredonia Water Treatment Plant that is being constructed. Upon arrival, officers discovered two adult males with injuries. One male died from his injuries, the other male was treated for minor injuries. The cause of accident has not been determined, according to Sheriff Figgin. OSHA has been contacted for further investigation. The Wilson County Sheriff's Office expresses condolences to the families of those involved. Isla Mujeres, Q.R. — UPDATED: One person has died in a construction accident after a jib crane collapsed at the Majéstic México Hotel site on Isla Blanca. The collapse of the crane killed one and left several injured at noon Thursday when someone called Emergency 911 for help. Reports say emergency rescue personnel and ambulance staff were made to wait more than 20 minutes outside the site after being refused entry to keep the news of the accident in-house. 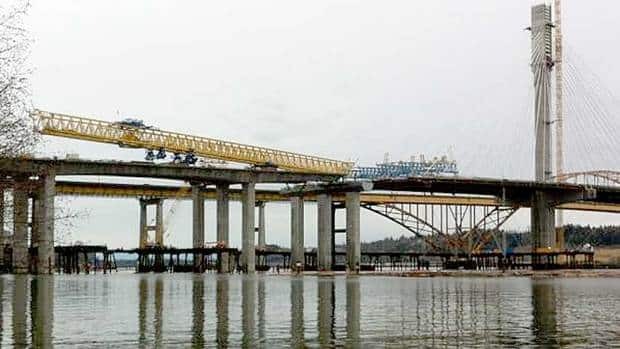 However once inside, they found one of the two on-site jib cranes had collapsed, falling over, injuring workers in its path. The exact number of injured are not known, however the deceased has been identified as 32-year-old Julio C.C.M. who was the operator of the crane. Officials of the Directorate of Civil Protection also arrived at the construction site to investigate the reason for the collapse of the metal structure as well as question why access to rescuers was denied. UPDATE: Civil Protection and Urban Development Directorates of the Municipality of Isla Mujeres have closed the construction site of the hotel. In a statement, they reported that after a review of the site, closure stamps were placed by personnel from the state agencies on part of the City of Isla Mujeres for further inspection and reporting. Police have reached the spot and rescue operations are underway. The six workers who died are reportedly labourers from Bihar. 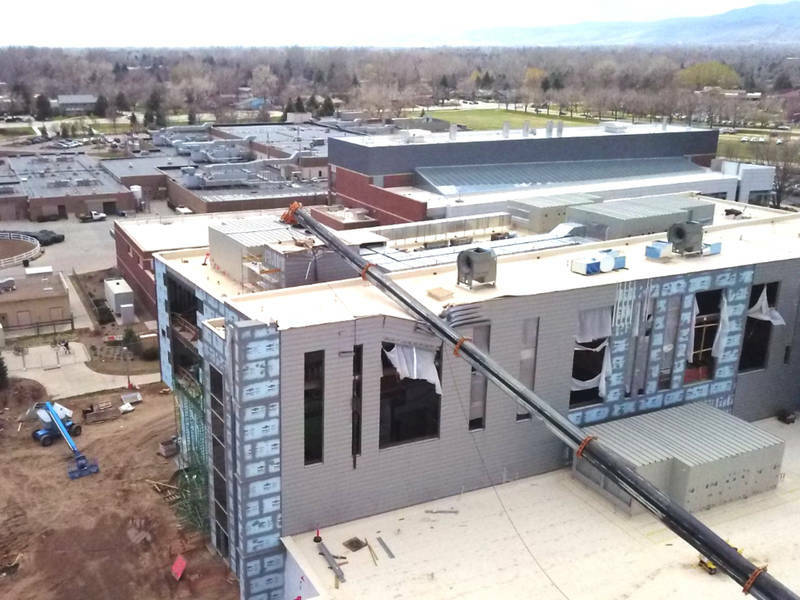 FORT COLLINS, CO -- A construction crane collapsed onto the roof of a building on the campus of Colorado State University's Veterinary Hospital campus in Fort Collins on Monday. No injuries were immediately reported when the crane fell onto the roof of the building being constructed at the College of Veterinary and Biomedical Sciences. The building is being constructed by Silva Global Solutions northeast of the veterinary hospital at 300 West Drake Road. Two men were killed and six others were injured after a metal crane in a construction site crashed onto a commercial building in Pasay on Tuesday afternoon. In a report submitted to Chief Supt. Tomas Apolinario, director of the Southern Police District, the accident happened when a crane tower was being set up in the ongoing construction of STI building near the corner of P. Calle and Edsa around 12:30 p.m. The report said the crane tower fell down and its boom hit the adjacent Core Town building, killing an unidentified man on the spot and damaged several vehicles parked in the area.